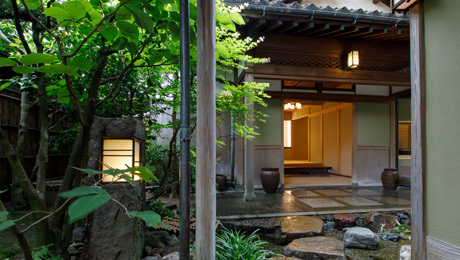 This building located near the Saigawa River is a residence built during the late-Meiji period. 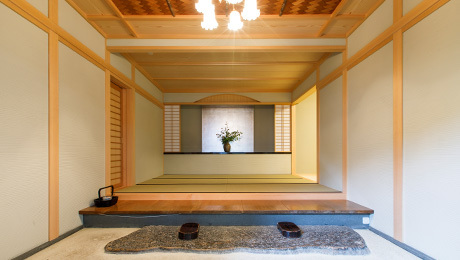 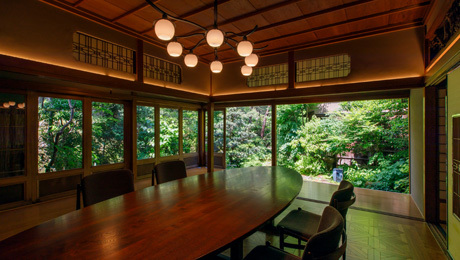 It features 7 tatami rooms built in the Sukiya-zukuri (a Japanese residential architectural style now associated with tea house aesthetics, with the term “suki” meaning refined, well-cultivated tastes and a delight in elegant pursuits) and Shoin-zukuri (drawing room or study) styles. 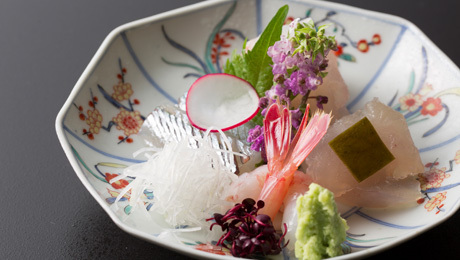 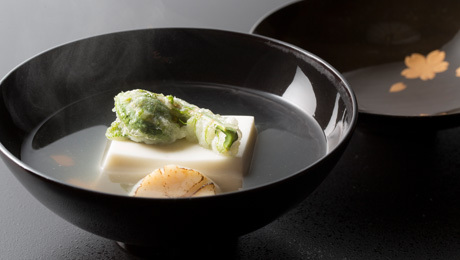 Whether it is our garden, our facilities, our services, our pottery ware, and dishes, we devote the essence of “Suginoi” into every element and item. 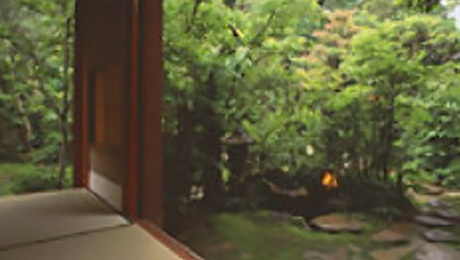 We look forward to welcoming and serving you.